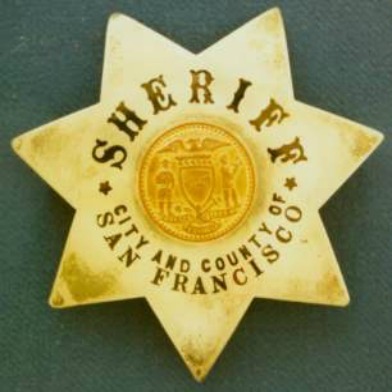 A San Francisco Sheriff’s Department Sergeant is under investigation after claims that his close relationship with members of Raymond “Shrimp Boy” Chow’s camp resulted in protection for the alleged gangsters, exchanges of cash, and a wild, allegedly drunken freeway crash. According to court documents, Andy Li, an alleged close associate of Raymond “Shrimp Boy” Chow, told federal agents that San Francisco Sheriff’s Department Sergeant Michael Kim flipped his truck during a freeway crash after the two partied and drank until the early hours of the morning. On November 30, 2012 at around 3 AM, Kim’s Toyota Tacoma truck fishtailed while speeding southbound on US route 101 through a torrential downpour. The truck smashed into the concrete median, flipped over, and came to a halt, upside-down, blocking two southbound lanes of the freeway where it intersects with Cesar Chavez Street, according to the California Highway Patrol officer who responded to the dispatch call. According to Li, the two were on their way to Daly City from the club at which they had been carousing late into the night. Both Kim and Li were transported to San Francisco General Hospital, complaining of minor injuries. No one else was injured or involved in the crash. Though Li asserted to undercover federal agent UCE 4599 that Kim was drunk behind the wheel, the sergeant passed two CHP field sobriety tests administered at the scene of the crash. The CHP officer on the scene said that the crash was due to Kim speeding by about 10 MPH during unsafe conditions caused by the rain, but did not issue a citation. The legal limit in the area was 50 MPH. During a recent interrogation by the feds, Kim admitted to having an ongoing relationship with Li, Shrimp Boy’s alleged close associate, that included paying Shrimp Boy to prevent gang members from harassing Kim in the 1990s, according to court documents. Separately from the interrogation, Li told UCE 4599 that Kim had previously been a part of Chow’s organization, when the sergeant was much younger. Over the course of the FBI’s investigation, Li tried to convince UCE 4599, who at the time was posing as a member of the Il Nostra crime syndicate, to meet with the sergeant. Li allegedly told the federal agent that the sergeant was “trustworthy,” which meant that he wouldn’t arrest UCE 4599 for involvement in their racketeering conspiracy,according to court documents. Li has been charged with 25 crimes, including racketeering, money laundering, and the production and distribution of marijuana as part of the far-reaching federal indictment of 29 defendants including State Sen. Leland Yee, Shrimp Boy, and former school board president Keith Jackson. He is currently being held without bail in an East Bay county jail because the government considers him a danger to the community, and a flight risk. Questions over Kim’s involvement in the case arose when, in a bid to be released from custody, Li claimed that body armor found in his wife’s car belonged to a member of the San Francisco Sheriff’s Department. During the government’s questioning, sergeant Kim said that he dropped off the vest in February so that he could “go drinking” with a friend that he did not remember, according to court documents. Kim has not been been named in the 228-count superseding indictment, which includes racketeering charges for two separate criminal enterprises. The charges stem from a four-year investigation in which several undercover FBI agents posed as businessmen needing favors from politicians and as a supposed Mafia member who wanted to buy guns, sell cocaine, stolen liquor and cigarettes, and have an enemy murdered. When contacted by the Appeal on Friday, SF Sheriff’s Department’s Senior Deputy Enrique Luquin confirmed that the department is investigating Kim’s conduct, but said it was department policy not to comment on active investigations. Kim was still employed by the Sheriff’s department as of Friday, according to Luquin.